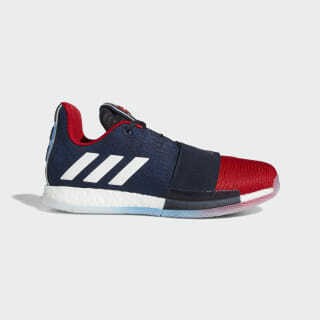 B-ball shoes that mix a stylish approach with James Harden's go-to look. Slow down fast. Designed with a colourful upper, these basketball shoes are inspired by James Harden's signature style. They're built with a leather upper for a locked-down feel that supports quick changes of direction. A responsive midsole returns energy on every Euro step. The herringbone outsole provides extra traction as you start and stop on a dime.